Hi kitties and friends. Yesterday, I went out to the UN-Cats sanctuary to do some reiki work with the kitties. 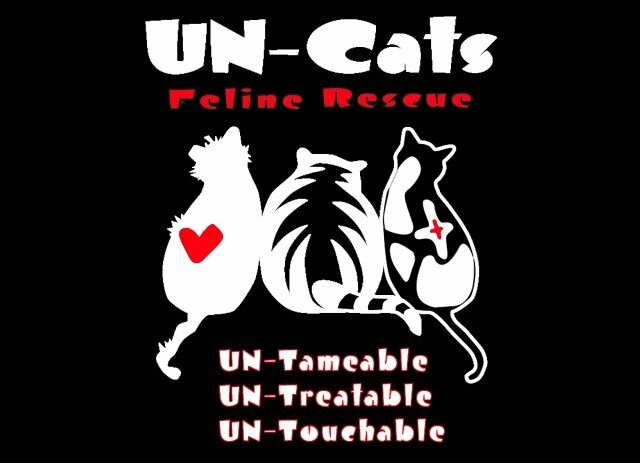 UN-Cats is a sanctuary for FIV+ and FeLV+ cats (and the occasional "others" that seem to wander into our midst) and work with TNR programs and low cost spay/neuter. The Daddy and I have done some volunteer work with them over the past couple years and this is where Tipp came to us from. Anyway, as I am furthering work with Animal Reiki and Flower Essences, what better place to do some work. I spent some time working with the FIV+ and non-infected kitties, but I spent the majority of my time in the FeLV+ room. There was the normal rucus of eating, drinking, climbing, pooping, etc... and Miss Soleil jumped up on my shoulder almost right away. She and Beatrice are, toward me anyway, the most overtly affectionate and it was a interesting start to things with Soleil on a shoulder and Beatrice all over my lap. But we got started and in a few minutes, it all got pretty quiet. I could sense that from time to time, the cats moved in and out of the immediate area, the girls hopped down, and someone, Lopcee, came to sit beside me. Mostly, I heard a lot of purring and quiet. It's hard not to just look around and see who is doing what, but I have to just trust that they are taking what they need and are in the space where they want to be. After about 40 minutes, we seemed to be done. 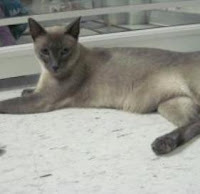 As I looked around Nei-How, a beautiful Meezer had curled up in a bed and was looking at me, posing with one paw over the edge and an elegant face resting gently on it. A little black girl had made her way from the bed she started in to a spot by my feet and was asleep on a bit of blanket there. A floofy black kitty was sitting above my head on top of a cat tree, looking down like "king of the world", and a ginger tabby tom was sitting nearby on a shelf. And it was still very quiet. Lopcee, had moved up to the arm of the couch on the other side of me and was looking out the window. Now I'm not an animal communicator, but it felt like he was very sad. Not hopeless, but more of a "why am I here" "what did I do wrong". I gave his chin a scritch, my way of saying that it was ok and that he was in a good and safe place and would be taken care of. He sat for another minute and then went across the room to sit on a tree by the door. The room began to get a bit more active, and a little playful. I can't wait to get to know all of the kitties in this group by name, as I think I will be spending a lot of time with them. They need it. They are beautiful souls who just happen to have a disease that keeps them from enjoying a forever home with non-positive cats. If I didn't already have the boys, a couple would be going home with me right away. 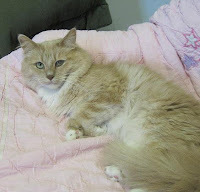 But they are lucky, because a couple of women, Mandie and Amy thought enough that there should be a safe and caring place for them to be and become their forever home if need be. This is a real special group and I'll be really honored to spend more time with them. I went to all the water bowls and gave them some flower essence drops, to help them not feel so abandoned and alone, and to bring joy to their world. As I was leaving, I started to reach out to give Lopcee one last scritch, and I got a lingering headbonk to my hand instead. Don't worry Lopcee... I'll be back next week. Awww your heart just breaks for them doesn't it. How rewarding it will be for you if you can help them. What beautiful cats - Face wise Lopcee just reminded Mum of Lucy - how nice that Lopcee thanked you for visiting with a headbonk. Barbara Hunt gave my Mum loads of support when I turned up, I have FIV and the vets recommended I be sent off this mortal coil, even though I am fit and healthy. Barbara gave my Mum a shed load of info to counter the vets' arguments! 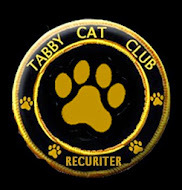 Big props to you for helping we positive cats, we need every advocate we can get! 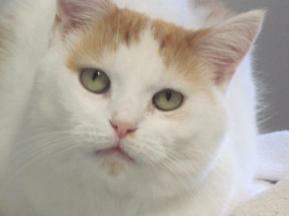 We'll go check out Catwork, we love to see other good works in action. We are so happy that your mom didn't listen to those vets and gived you a forever home. You'll show them! You'll live a long and happy life! Paws up! 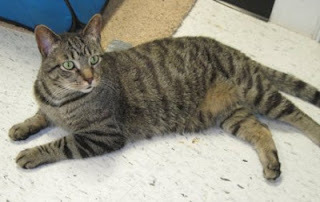 What awesome kitties - and how great of you to come in and give them your time and energy! Oh, they are all so beautiful! Thank you for spending your time with these kitties, and giving them your love and care. We think you are awesome. Bless your heart. You are an angel for these beautiful kitties. Poor things! Its hard enough to find a home without having health issues too. We had a FeLV+ kitty and none of the other cats came down with the disease. So we wonder if it is safe to own some of each kind, so long as none are kittens with underdeveloped immune systems. It's hard to say. The reading I've done has been mixed, but I do know that kittens are most susceptible to the illness, and some think that it takes prolonged exposure to become infected, especially if the other cats have been vaccinated. I'm just not sure enough to take that step. So this is what I can do to love them all. We wish there was something definitive! But what you are doing is so wonderful and really makes a difference in their lives. Such sweet little ones, thank you for looking out for them! you are such an angel! I am sure those kitties love you more than you could ever know!